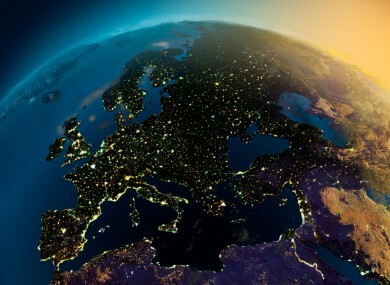 IRISH ENTREPRENEURS ARE being encouraged to enter a European competition for innovation in satellite technology, which has a prize fund of €1 million. This is the second year the Galileo Masters IDEAS Competition has been run in Ireland, thanks to its prize being sponsored by the the National Space Centre. Fiona Eivers of the National Space Centre said that the competition is for anybody from university level to someone setting up a business. The overall Irish winner will get the use of an incubation desk for three people at the National Space Centre in Midleton, Co Cork. The competition, which is supported by the European Commission and European Space Agency, rewards innovation in business ideas using satellite technology. Last year the Irish winner was a start up company, Vicinity Systems, which is developing technology to increase the driving range of electric vehicles. The prize is geared towards someone who is going to set up a business, and start-ups that could benefit from an incubation desk.The National Space Centre will also provide business consulting and tech consulting and support to the Irish winner. Many of the ideas for the competition are for apps which use GPS but the competition is open to anyone who uses satellite technology in their idea. “It’s a small area within Ireland but it’s growing,” said Eivers. The National Space Centre was set up two years ago and Ireland has started to take on idea of satellite technology, said Eivers. There are 24 partner regions all over Europe involved in the competition, and the winner of the Irish one will compete against the other regions for the overall prize. The competition, which has been running for 10 years, is open until 30 June. The online entry system for the European Satellite Navigation Competition is now live and entrants from all over the world can submit their entries to compete for the €1m prize fund. It is now a leading global network of innovation and expertise in the field of Global Navigation Satellite Systems with more than 20 regions and 190 industry and research experts around the world. This competition provides an exciting opportunity for the winning Irish entrant to promote their idea and raise the international profile of their product, and it provides Irish industry an opportunity to showcase the cream of our industry on an international stage. Email “Irish to compete in €1 million satellite ideas competition”. Feedback on “Irish to compete in €1 million satellite ideas competition”.